Dr. Marcie Davis is our head administrator and is also head of our mathematics program. God brought Davis to the area in 2012, when her husband accepted the call as senior pastor of Northside Baptist Church. A college mathematics professor for 18 years, she then began teaching high school mathematics. Dr. Davis holds the following degrees: BS in mathematics from Campbell University, MA in mathematics from the University of Louisville, MS in mathematics from the University of Kentucky, Ed. D. in curriculum and instruction from the University of Kentucky. Mr. Randy Heinzl serves as the Treasurer of our school and also teaches a variety of subjects to our upper school students. He has experience in Engineering, Manufacturing Management, and Finance. 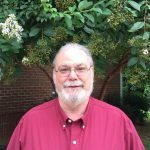 For the past 13 years, he has taught math courses, including IB Mathematics, AP Calculus, and AP Statistics in the Charlotte public schools. Mr. Heinzl has an undergraduate degree in Management Engineering from Rensselaer Polytechnic Institute in Troy, NY, and a Master’s in Business Administration from Duquesne University in Pittsburgh, PA. He has also taken math and education courses from Winthrop and other universities. Mr. Heinzl has been involved in teaching ACT/SAT preparation seminars and in founding a classical Christian school in Pennsylvania. Mr. Ed LaRock primarily serves as our principal, but also instructs Algebra I, Physical Science, and a dual enrollment American History course. He holds the following degrees: AS in Mechanical Engineering Technology from Vermont Technical College, BS in History with dual minors in Art History and Mathematics from Winthrop University, and MA in History from Winthrop University. In addition, he is seeking to continue his education at Winthrop University by working on a Master of Liberal Arts degree. For three years, Mr. LaRock taught Algebra 1, Geometry, and Calculus 1 at Trinity Christian School, and is excited to use his experiences to benefit student learning at PCS. Miss Kassie Stiling serves PCS by assisting administration, teaching upper school science, and helping in the admissions and athletics departments. She holds a Bachelor of Science in Health, Fitness, and Recreation, and a Master of Arts in Biblical Counseling, both from Bob Jones University. While working on her undergraduate degree, she gained experience coaching soccer, basketball, volleyball, softball, and water polo. From 2012-2014, she spent her summers at Northland Camp in Dunbar, WI, serving as a teen counselor and on the operational/leadership staff. 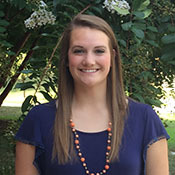 Prior to joining PCS, and while completing her master’s degree, she worked as a graduate assistant for the Athletic Department at Bob Jones. 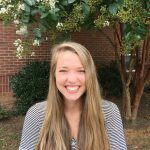 Miss Stiling is extremely excited about the addition of athletics to PCS, and desires to use her educational, coaching, and counseling experiences to help students not only succeed academically, but also grow to their fullest potential in all areas of life. 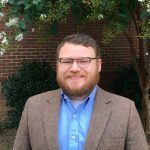 Mr. Colton Guffey serves as the primary instructor for our 10th and 11th grade students, but also teaches Latin, Greek, and Classical and Christian Studies. 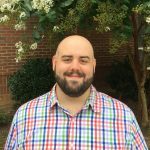 He is also our chapel coordinator and has served as a student pastor at several churches in York, Chester, and Greenville Counties. After graduating from Rock Hill High School, Guffey attended North Greenville University and received a Bachelor of Arts with a focus in Christian Studies and Broadcast Media. In college, Guffey worked with several ministries including an improv team, a television show for the college’s TV station, and the Baptist Student Union. He is currently finishing a Master of Divinity degree from The Southern Baptist Theological Seminary in Louisville, KY. Mr. Guffey brings his passion for education, love for the next generation, and his desire for creativity to the classroom. Mrs. Blaine-Parrish Scovil is an instructor for our 7th grade class. She earned her BA in Journalism and Mass Communications from the University of South Carolina, majoring in Public Relations with a minor in English. After graduating, she went to work as an event coordinator for a Columbia based non-profit organization. She later returned to USC to complete her MFA in Creative Writing, during which time she also served as an instructor for undergraduate English courses and a tutor for the university’s Writing Center. 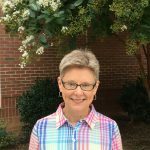 As a proud alumna of a private Christian high school, Mrs. Scovil has witnessed first-hand the merits of Christian education and enjoys the daily community of fellow believers that PCS offers. She lives in the Rock Hill area with her husband and rescue dog. Mr. J. Peterson serves as the primary instructor for our 6th grade class. 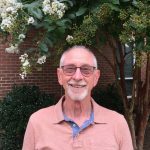 He has served in various roles in churches in both North Carolina and South Carolina while earning his Bachelor of Arts in Intercultural Studies from North Greenville University and his Master of Divinity from Southeastern Baptist Theological Seminary. 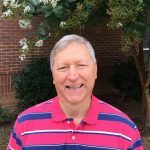 Mr. Peterson has a passion for local churches and their people, along with serving the regional and global community. He is most excited to develop Christlike relationships with his students while also teaching them about God through all studies of God’s creation. In his spare time he serves at Park Baptist Church and is looking forward to marrying his fiancee in December of this year. Mrs. Amanda Patterson serves as an instructor for one of our 5th grade classes and for Pre-Algebra. 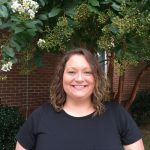 Mrs. Patterson earned a Bachelor of Science from Winthrop University in Family and Consumer Science with a concentration in Early Childhood Education. She served for ten years as the Executive Director of an assisted living and memory care facility. When not at PCS, she enjoys spending time with her husband, son, and dog, and being involved with her church. She has quickly embraced the classical method of education, and is very thankful to be a part of the PCS community! Mrs. Kristen Rahalewicz serves as a Latin instructor and is also the primary instructor for one of our 5th grade classes. Rahalewicz earned a Bachelor of Science in Criminal Justice with a minor in Law and Politics from the University of South Carolina. She homeschooled her children for seven years using the classical model and taught elementary level classes at various co-ops in the area before joining the PCS faculty. She has a true passion for seeing children thrive and grow far beyond their perceived abilities. Mrs. Janna Lambert serves as an instructor for our 4th grade class. 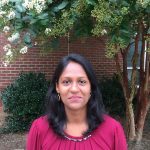 She has a BA in English and an MA in Elementary Education from the University of South Carolina. Mrs. Lambert taught 1st and 5th grade in a public school setting prior to homeschooling her own 4 children for 6 years according to a classical model of education. 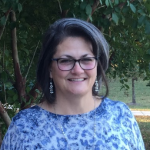 Mrs. Lambert has a desire to promote Biblical truth and cultivate Biblical literacy in others and strives to connect each subject she teaches to the authority of God’s Word. She is thrilled to join the PCS faculty this year. Mrs. Paige Oliver serves as an instructor for our 4th grade class. She attended Winthrop University, earning a Bachelor of Arts in Psychology and Spanish with honors. 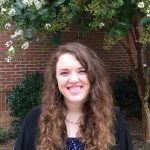 She is currently pursuing a master’s degree in Biblical Counseling from Southeastern Baptist Theological Seminary. Mrs. Oliver has a passion for foreign missions, and has traveled to Haiti and Honduras for mission trips. She has also served as a Younglife leader, discipling and sharing the Gospel with high school girls. She is excited to join our PCS faculty and to have the opportunity to share God’s love with her students. Mrs. Angela Carver serves as the primary instructor for our 3rd grade class, but also directs our upper school choir and ensemble. She is the mother of 4 children and has been married for 20 years to her husband. She graduated from Southeastern University in Lakeland, FL with a BA in Communications and a Minor in Sacred Music. Having grown up as a pastor’s daughter, she has been teaching young children in multiple church ministries for many years. Carver has also taught private piano lessons and has a passion for fine arts. 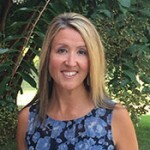 She has been an elementary school teacher for six years and is very excited to be a part of the staff at Providence Classical School. Mrs. Valarie Hutto serves as the primary instructor for our 2nd grade class. She earned a Bachelor of Science in Nursing from the Medical University of South Carolina in Charleston. Mrs. Hutto spent 13 years in the U.S. Army before resigning her commission to stay home with her four children. She loves teaching and homeschooled her children for over 20 years. 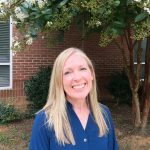 She has also taught homeschool classes and co-ops for different grade levels, and served as a long term sub in the Fort Mill school district. Mrs. Hutto has a desire to help children know their full potential while encouraging a desire to learn at a young age. Mrs. Sara-Kate Hollis serves as the primary instructor for our 1st grade class. She has several years of experience working with children of all ages in childcare and private school settings. 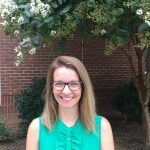 After graduating from Fort Mill High School, Mrs. Hollis attended Winthrop University where she received a Bachelor of Arts degree in History and Social Sciences. She is a certified New American Cursive instructor, and produced New American Cursive finalists in the 2017-18 New American Cursive Contest. Mrs. Hollis has a true love and passion for teaching and growing young minds. She believes the classical methodology is the best way to nurture and cultivate the minds of our youth and equip them through an honest, wholesome, and Christ-centered education. She looks forward to another great year at PCS! 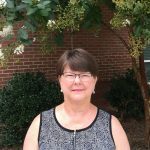 Mrs. Elaine Thrift serves as our Kindergarten instructor and K-2 coordinator. For the past 10 years, she has taught kindergarten, third and fourth grades, music, theater, and library classes in both public and private schools, including Trinity Christian School, Northside School of the Arts, Sullivan and Castle Heights Middle Schools, and Lake Pointe Academy. Prior to classroom teaching, Mrs. Thrift homeschooled her own children for 20 years. 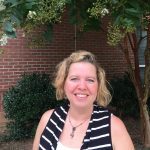 She holds a Bachelor of Music and Music Education degree from Georgia Southern University and completed post-graduate courses at Winthrop University to gain her Elementary Education Certification. Thrift has a passion for the education of the young child, desiring that each child is given a strong foundation and develops a love of learning to last a lifetime. Mrs. Cisy Geo serves as the assistant teacher for our Kindergarten class. She earned a Masters in Commerce from the University of Kerala in India. 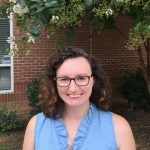 Mrs. Geo has served as a homeschool tutor for the Classical Conversation community in Fort Mill, SC, and has also worked with the Calvary Child Development Center in Charlotte, NC. She loves teaching and homeschooled her children for two years. Mrs. Geo has a desire to help children develop from their early ages both spiritually and academically. Mrs. Judy Heinzl is the head of our Latin and grammar programs. Having taught for over 20 years, Heinzl has brought a wealth of knowledge and experience. She is well-loved by her students and consistently produces high-scoring National Latin Exam finalists. She and her husband led highly acclaimed ACT/SAT preparation seminars for 10 years and now teach this as a course to PCS juniors. They also helped found a classical Christian school in Pennsylvania before moving to Rock Hill. Heinzl has an undergraduate degree in Accounting and Business Administration from Geneva College, a Master’s in Business Administration from Duquesne University, and also studied Latin at Winthrop University. Mr. Justin Dutton serves as our Physical Education and 5th grade math instructor. He was born and raised in Lancaster, SC, where he attended Buford High School. Growing up, Mr. Dutton loved playing all sports, especially football and basketball. After high school, he attended Anderson University and graduated with a degree in Kinesiology. 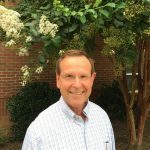 Mr. Dutton has served in multiple positions within different student ministries in Texas, Georgia, and North Carolina. 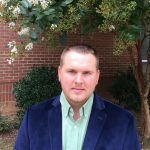 He is currently working toward his Master’s Degree in Theological Studies, and plans to continue studying to earn his Master of Divinity. He and his wife live in Fort Mill, SC with their dog, Charlie. Dr. Richard Tompkins serves as our Christian Studies teacher for grades eight through eleven. He is the founder and president of Explore Truth Ministries, which provides consulting services, workshops, and seminars in theology, discipleship, apologetics, and evangelism. He is a frequent speaker at apologetic conferences in both the U.S. and abroad. Tompkins holds a BS in Business and Economics from Southeast Missouri State University, an MBA from Southern Illinois University, an MA in Christian Thought (Theology) from Gordon-Conwell Seminary, and a D.Min. in Apologetics from Southern Evangelical Seminary. He is also an ordained Baptist minister and served in pastoral ministry for over eight years. Before his call to ministry, Tompkins served as an officer in the U.S. Army and completed a 27-year career as an executive with one of America’s largest multinational corporations. Dr. Mel Wines instructs our upper school logic class. He is currently serving as the Associate Minister of Discipleship and Evangelism at Ebenezer Presbyterian Church in Rock Hill, SC. A graduate of the University of Maryland, he was classically trained as a Human Anatomist at its School of Medicine in Baltimore. He has held faculty appointments at the Collegiate and Medical School levels. Following graduation from the Reformed Theological Seminary in Charlotte, NC, he was ordained in the Associate Reformed Presbyterian Church. Dr. Wines and his wife have been married for over thirty years and have three adult children.